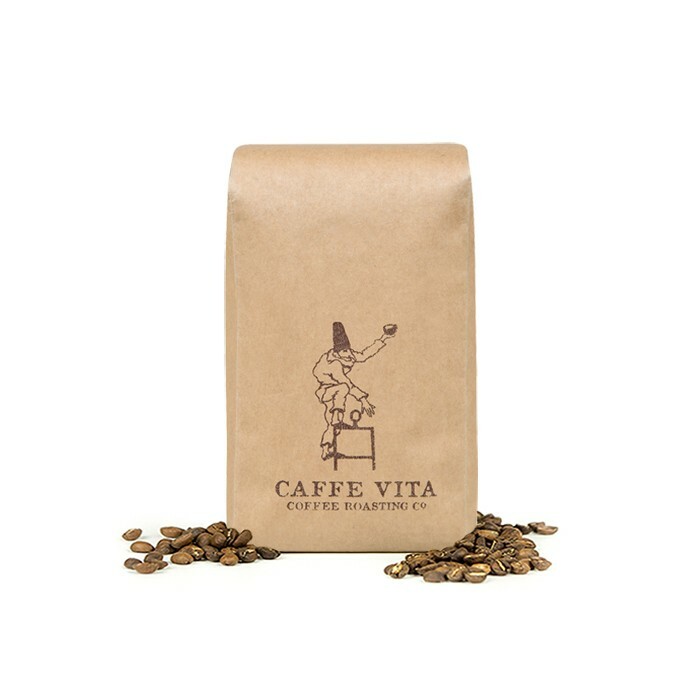 The Organic French Roast was blended and roasted for you by Caffe Vita Coffee Roasting Co. This is a blend of Organic certified high-altitude, shade-grown coffees, with aromas of bittersweet chocolate, roasted nuts and vanilla with a sturdy body and a well-rounded finish. Nothing to write home about. The EQ French Roast was much, much better. Tastes like supermarket coffee to me. Tasted burnt and too smoky. Solid coffee, but not quite as good as some of the other coffees I've been sent recently. Less body/flavor than a standard dark roast and some flavor I can't quite put my finger on. Maybe a little too smoky. Happily drink each morning though. Way lighter than I thought a French roast would be. This is an AMAZING coffee. I had a giant mug this morning, drip-brew, and I think it held the notes that in fact led me to be a coffee drinker in the first place: a deep, dark chocolate taste that is what I love about bittersweet chocolate itself! Plus, it's bold -- and I mean bold! This was evident in the color alone, unlike some pseudo-darks, so to speak, where the liquid isn't quite the opaque color you can expect to see in an Italian or French Roast. THANK YOU for this one. we really enjoyed this coffee! This coffee was one of my favorites so far. Straight forward and brilliant. Good balance between dark roast and medium for my taste. Not too acidic as mediums can taste too me. I LOVED THIS COFFEE! clearly, I am realizing I am a fan of French roasts. They are smooth, full and this one had notes of cocoa. I did not like this coffee. I am very disappointed. Beans were not fresh and they were very dry. I thought these coffees were supposed be freshly roasted? I do not like French Roast or Italian coffees. Sweet, not smoky or aromatic to my palate. I guess I don't like the vanilla. Probably my favorite coffee thus far. Very rich and oily, but smooth and delicious! As an aside; very easy to grind. Latest batch is perfection! previous review:4.5 stars, excellent and somewhat unique french roast. Overall good flavor with a delicate taste. not a bad shot. pretty good flavor, nice natural sweetness to it. Did not like this one due to it's darkness. Couldn't taste any flavors for the French roast.